If you ever watched High School Musical you probably have noticed how Sharpay and Ryan Evans did exercises before their performances. Sure, shaking their hands and body while voicing out “mah, mah” in different tones and vocal ranges may seem silly to you, but they’re actually on the right track as far as acting goes. Despite what most people think, acting is actually a very physical job, and that doesn’t ring true only for stage musicals and action movies. In fact, as an actor, you must always be connected to your entire body and express yourself through it. If you fail in doing so, you will just be another actor delivering his lines while flailing around the studio. Remember, you are one with your character, so you should be connected to it in a real sense—feel his every flesh and blood, and think of it as a real person projected through you. Whether on camera or on stage, it is necessary that you allow your whole body to be alive through movement. Learn to experience your body in ways that you have never before by being conscious of your every action, big or small. Expressing yourself through your body will translate powerfully for the audience. On stage, the energy should flow through you until the tips of your fingers and every part of your body should speak. Every action you make, from your hands, to your toes, and even to your ears, should resonate to the audience at the back of the theater. On camera, remember that life should flow through you, and your body should stay alive. Especially in the more intense scenes, you should use all types of movement to resonate through the audience. One of the most common acting techniques used is the Alexander technique, which is a “unified concept” that helps with the mastery of an actor’s fundamental skills. Taught in most acting schools and performing arts programs in the United States and Europe, this technique aims to give practitioners the power to allow their talent to shine. Whether you are using the Alexander technique or learning to free your body on your own, here are important things to you can do for yourself and your acting before you stand in front of the lights. Dancing is very liberating, and similar to what happens when you get in sync with your dance partner, you can also connect with your fellow actors. Dancing is very common in improvisation classes, and for good reason: through dancing, you start to feel from inside yourself, so you can “physicalize” your character. 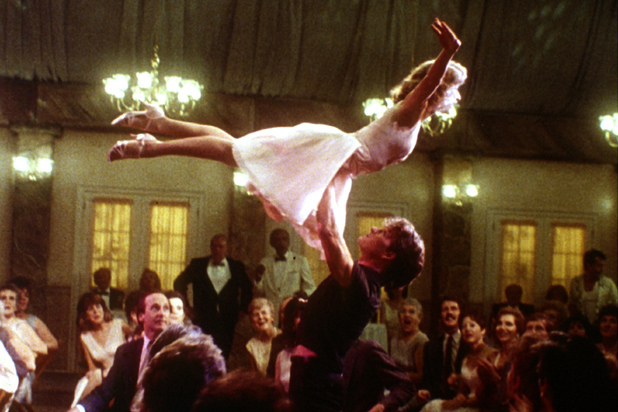 Remember Patrick Swayze and Jennifer Grey’s iconic scene in Dirty Dancing? It is the perfect example of how you create yourself through music and imagination. Dancing is a free flow of energy not just within you but with your partner as well, and it will translate well to your acting. Watch yourself move in front of a mirror. Bend your knees, smize, or lift your hands to the heavens. Do lunges, but whatever it is that you do for exercise, do it in a way that is out of your comfort zone. Start with a move that makes you feel awkward and teach your body to be more comfortable with that particular movement. This is so that you can teach yourself to move in ways that you don’t usually do. It is with these exercises that you realize where you are blocked or rigid. Remember that you should feel free in acting, so rigidity has no place in front of an audience. For every moment of your life, you breathe, and breathing properly is essential for acting. Proper breathing is also noted to improve vocal quality and reduce anxiety, so you will be able to project your voice in a way that is appropriate to your performance. Breathe properly to speak with power and clarity, and deliver as your character would. Remember that an actor should be able to free his body in movement training. This way, you can recreate your character in your acting by your own stance and movement. Establishing a character means that you have to create foundation and movement, so it is necessary that your body is not only flexible, but that your mind is also full of physical design through your imagination, to bring to life the character that you were tasked to play. Whether you’re going on stage or appearing on-camera, remember to free your body: it helps you stay in the moment and connect with your character at the same time. It also sets your creativity free as it encourages a flow of energy. But most of all, freeing your body helps you bring your character to life—something that you should aim to do as an actor.